193 in stock Need More ? 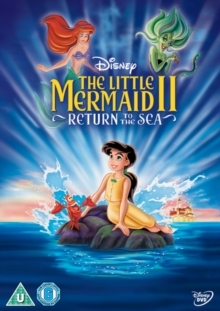 Ariel and Eric have had a baby daughter, Melody, but the threat of reprisal from Ursula's sister Morgana means that they must keep the girl in the dark about her mermaid heritage. However, to be a mermaid is what Melody wants most and her dreams of the sea soon find her playing into the evil Morgana's hands. To set things right, Ariel must team up with her old chums Sebastian, Flounder and Scuttle and embark upon a daring rescue mission.